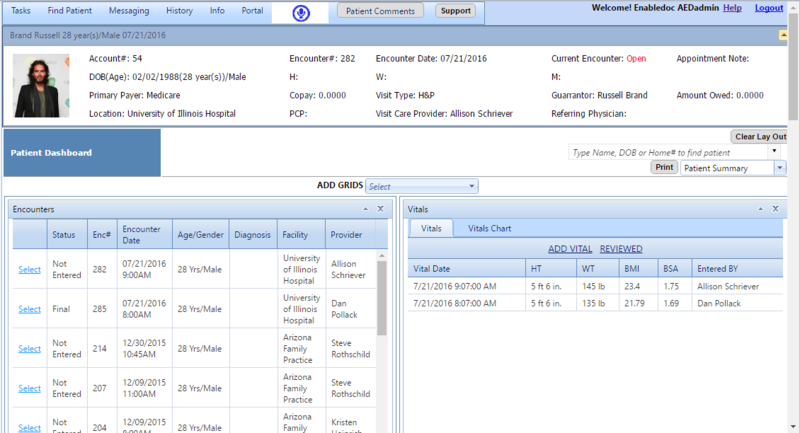 Messages and Tasks that have custom types, such as call patient, can set deadlines, manage the status, and even link it to a patient to display in their chart. Open Notes displays all non signed notes and allows a simple click to open the note. Daily calendar shows all appointments and allow appointments to be easily checked in and changed and the note to be quickly opened. Lab/Test Results displays all non review or reviewed labs with abnormal alert. Labs can be entered in the system or received electronically from an outside lab. Prescription refills can easily reviewed and approved or denied. By clicking on the links, the provider can view a patient chart, open a note, complete a task, and view labs test results. One click access to get work done.